What’s keeping mobile network operators up at night? Mobile network operators (MNOs) are facing massive data growth (70% growth in mobile traffic in Q3 2015 and for fixed networks) but revenue growth has almost dried up, so how do they afford the investment in new infrastructure and capacity solutions to meet the data demand? These were some of the questions addressed by a number of industry experts at a roundtable in London in January hosted by wireless access and backhaul specialist CBNL. Phil Kendal, Director of Wireless Operator Strategies at Strategy Analytics opened the discussion with a summary of some the key issues facing mobile network operators. Along with the data growth, revenue slow down conundrum, Kendal noted that there is a huge evolution going on in the transport side. ‘There is a huge focus on what can be done to the network to improve profitability and find more value growth,’ said Kendal. He observed that some MNOs are keen to talk up launches of 5G technology as early as 2018 (despite the standard not being ready before 2019), while for others it is a longer term play. Some 5G services such as mobile edge computing (MEC) and NFV/SDN can be implemented earlier, however. The Internet of Things (IoT) and Smart Cities offer MNOs the potential revenue generating opportunities to help them afford the investment in their networks, but they will require very dense sensor deployments. The question is: what kind of network is needed to support this and how should it be built? Kendal added that these dense networks will require considerable system integration and investment in the service layer. Can MNOs justify investing in these very dense networks? Where in the value chain can the money be found to fund this? Another potential revenue generating opportunity is providing better enterprise connectivity, usually through deployment of indoor small cells to boost cellular coverage and provide a platform to offer further services to businesses. The question here is; how can telcos best leverage the value of wireless connectivity for the enterprise? Then there is the looming backhaul issue needed to support all these new offerings and massive increase in data transmission. What is the business case? ‘Do we hit a roadblock and have to rethink what a telco network should look like?’ asked Kendal. Beyond that; there are outdoor small cells, virtualisation of aspects of the network and so on; where are these in the telcos’ list of priorities? Opening the discussion from the panel of industry experts, Alan Law, Chair of Small Cell Forum (SCF), explained the Forum’s key activity at the moment is to make sure small cells are part of the heterogeneous networks (HetNet) that will be the future. • Virtualisation: what does that mean for the small cell layer? • License exempt: LAA, WiFi calling, etc – how do we build a heterogeneous network? • Neutral host/multi-operator: how easy is it to deploy common infrastructure that can be leverage by all the MNOs? In the SCF’s estimate by 2020 only 20% of small cells will be operated and managed by MNOs – so what does that really mean for the industry? • IoT and 5G: there is a big opportunity primarily looking to connect everything deep in a building and the wider city. What synergies can be found here? 5G requires very high data rates and higher frequencies, so there needs to be a very good channel and the network needs to be nearer end users; that means more processing power at the edge, so the SCF is trying to align with rest of industry here. • HetNet and SON: what capabilities are needed to ensure MNOs can harness all the assets available to them? Law said the Small Cell Forum is supporting operators and enterprises to provide insight into how to leverage the most out of the suite of assets they have at their disposal. ‘Whether that’s the backhaul transport infrastructure or the spectrum held, they must look to seize and exploit the opportunities to synergise between portfolios,’ he said. Andy Sutton, principal network architect, EE, explained that a lot of EE’s focus at the moment is on extending its 4G network and managing capacity, especially now video is accounting for 50% of traffic on EE’s 4G network. Implementing carrier aggregation is one area of focus, but EE is also looking at how it evolves LTE-A to LTE-A Plus. EE is also looking to develop ultra-reliable networks for 5G and for supporting critical communication users – something highly relevant to EE as it is providing the UK’s new Emergency Services Network for police, fire and ambulance, which requires much higher degrees of robustness, reliability and resilience than normal consumer networks. Dr. Mike Short, Vice President at Telefonica Europe, said: ‘There is a video boom on mobile networks and we are looking at how to we handle this and improve delivery today, but in a cost effective way.’ Telefonica is a founder participant at the 5G Innovation Centre (5GIC) at University of Surry in the UK, so it is intimately involved in developing what 5G will be. Other areas Telefonica is looking at include: driverless cars and how to connect them better to provide the ‘Internet on Wheels’. ‘Digital Health and how to provide better connected healthcare in the field and better integration between social care and healthcare; also mental health – can we try and keep people in their homes, supported by their family?’ asked Short. Smart metering is a major focus for Telefonica O2 in the UK as it has two Government contracts to connect two thirds of UK homes, so the ability to provide better indoor communications is an essential part of delivery that service. Turning to the backhaul issue, Short pointed out that Seoul in South Korea has seven times the number of cell sites compared with London. The question is: can ways be found to enable MNOs to flexibly integrate their infrastructure better into the built environment? Real Wireless is involved in looking at the techno-economic view of 5G and is part of the 5G NORMA project thinking about business cases and the economic benefits of moving to 5G and how industry verticals will adopt 5G technology. ‘We are getting a lot of enquiries around coverage: how to achieve good coverage in various scenarios, geographically and otherwise,’ noted Fletcher. 5G – what are MNOs thinking and planning for? EE has a view of the high level components for 5G, according to Andy Sutton, who sees many aspects of 5G as an evolution of 4G technology; for example, virtualised core, which is being implemented now. EE will look to evolve its underlying network to support 5G by moving to LTE-A Pro and then adding 5G capability on top. Sutton said that the first phase of 5G standards will be written by 2018, but it will focus on sub-6GHz frequencies only. The later phase will look at micro and millimetre wave frequencies (although which millimetre frequencies may be assigned to mobile services will not be decided until the ITU World Radiocommunications Congress in 2019). ‘5GIC is also informing thinking on 4G so some things can happen before 5G,’ said Sutton. ‘4G is the WAN and we will sit 5G on top, but it will be a more gradual evolution, not a big bang, with millimetre wave technology introduced as a later step. 5G will bring new air interfaces, but not just new waveforms. There will be wider channels, massive MIMO, beamforming, etc, to come with millimetre wave,’ he said. Alan Law said that the starting point for SCF research on 5G was focused on how to fulfil the need for very low latency by reducing the distance from the end user and the network core. ‘We are looking at how to distribute some of the traffic and mobile edge computing (MEC) platforms is one way. Virtualisation gives you flexibility in how your construct your architecture based on the most cost effective transport infrastructure available to you enabling you to marry functions to the service you are trying to deliver,’ explained Law. He added that 5G is really a culmination of a whole host of innovations such as exploiting NFV/SDN, better spectral efficiency in both sub-6GHz bands and the higher frequencies. He pointed out that this need to be closer to the end terminal means you have to densify the grid and the way to do that is to deploy small cells. Telefonica’s Mike Short argued that capital spend among MNOs internationally is so high that investment in 5G by MNOs is unlikely to take anything other than evolutionary approach. Short argued that in order to drive maximum benefits from their networks, operators must view connectivity through an international lens, laying down the strategies that enable countries and cities to develop services in line with their specific needs. Through adopting this approach, operators can become more flexible and drive maximum value for their customers both today and tomorrow. ‘It provides us with a chance to change the cost profile and business models, but we won’t see the same timing of 5G deployment around the world because of these different regional needs. An evolution to more services is the natural route, but if you take somewhere like Kenya, it is talking about providing just one 5G network for the country, while China’s managed economy has different needs. The USA and China have a scale that makes their approach different to elsewhere,’ said Short. EE’s Andy Sutton noted that there seems to be some positive Government support especially through 5G Innovation Centre, but that the industry could do with more joined up thinking across Government, especially on cell site access, but that issue is dealt with by a different bit of Government to that pushing 5G. Simon Fletcher pointed out that a lot of the focus of the large European 5G projects is focusing on what the demand side requirements might be. ‘We are in a wireless IT era now and are almost moving away from wireless LAN/WAN world to something more mixed. ‘What services do we want to run over these indoor small cells; what is the value add of using MEC to provide new services? The UK Department of Health has said that it wants better wireless systems in hospitals by 2017-18 and the same for Transport, so I think Government is realising it needs a wireless strategy, but it is early days yet,’ said Fletcher. John Naylon volunteered that providing backhaul for 5G networks is in some ways is quite simple, but tricky to figure out. ‘The breadth of labels for 5G is another order of magnitude than 4G and that is a challenge to vendors to have system that can cope with the huge range of things 5G has to support. It was also noted that 5G is also seeking ambitiously large energy savings compared with previous generations and it also seeks to be much more resilient (including the backhaul) to provide an ‘unbreakable’ network that can be relied upon to carry mission critical communications. Short agreed with Sutton, but questioned what the role of the Internet for IoT is. ‘Is is it a data repository or Cloud; a way to mash different sources of data; or a way of analysing the data? What is it and how does it work with networks?’ he asked. Simon Fletcher reported that Real Wireless is receiving a lot of enquiries coming from fairly mature markets, which have been using private IoT networks to reach remoter industrial sites and the like. ‘How do we repurpose networks to meet these use cases? Can we open up our APIs? What about proprietary IoT networks like Sigfox, can these be integrated? But they want to commoditise the connectivity side and are using different business models, so can these be integrated?’ wondered Fletcher. The importance of virtualisation was enforced by Naylon, who stated that: ‘A virtual network is almost always the best solution for optimising the business case, as you’re maximising physical assets that are often fully paid for by other business activity. An early example of this is the fixed broadband services we’ve deployed for operators over their existing backhaul infrastructure, which has provided a highly effective business case to grow their network. ‘Airtel in Kenya uses a common microwave network for business services and backhaul,’ he revealed. ‘When it comes to IoT and smart cities, the more you can layer those onto existing assets the better it is and the better the business case. ‘And that gives MNOs a massive head start, as it is a hard area to break into as MNOs have a massive existing infrastructure network, but that doesn’t preclude new entrants by any means,’ added Naylon. Mike Short pointed to additional opportunities for MNOs in Smart City initiatives beyond simply providing connectivity. ‘In Barcelona and Valencia it is the IT architecture that has led smart city development, while in Brazil we were asked to upgrade the infrastructure with the IT, not just the wireless side. ‘But it isn’t just connectivity: we’ve also been asked to help with analytics in places like shopping malls who ask us; can you help with footfall identification? Transport operators ask if we can help with aggregated location data for railway franchises, which helps them bid properly for rail franchises. ‘Live data on passenger flows helps transport managers see how congestion builds and helps, which is helpful for congestion management – and it can help the police too,’ observed Short. Law explained that the SCF is looking at enterprise connectivity initiatives, noting that the growth of mobile working and mobile workforces can lead to quite fluid requirements in the workplace to which the industry needs to be able to respond rapidly to meet those changing needs. ‘What MNOs cannot do is say: wait 6-9 months for us to build the communications you need. Naylon said that in Latin America, Africa and Asia, it is mostly MNOs that are offering office connectivity, whereas in the US it is completely the other way around as there are a lot of small wireless/wired providers. With operators looking to get the most out of existing infrastructure, Kendal commented on how different last mile technologies can have a sizable impact on a network’s total cost of ownership (TCO). Fletcher cited a recent Real Wireless study in to the total cost of ownership of wireless backhaul explaining that the dominant cost is getting the sites in the first place. ‘There is a trade off between the last mile and the one before and we are trying to work out the topology. Point to multi-point wireless solutions look quite favourable in comparison with point-to-point (PTP). It is about getting things out there quickly and getting revenue in, so fibre can look unattractive in that scenario. But a lot of the issue is around sites – how easy is it to get them?’ asked Fletcher. Short agreed site acquisition was a big issue, explaining that in dense areas it is expensive and slow to get planning permission, arguing that there needs to be better access to sites and more flexible planning mechanisms, otherwise MNOs cannot do the densification customers need and expect. ‘There should be a presumption for access to public land to speed up planning permission. Some industries have much more favourable access wayleaving than MNOs in the UK,’ observed Short. CBNL’s John Naylon answered by saying: ‘I think the backhaul and access network will merge together. 5G millimetre wave spectrum is classic backhaul frequency, so the same spectrum assets will be used in 5G eventually. ‘So, we can be much more adaptive to what the demand is; not just in the planning cycle but by being able to react to microsecond to microsecond demand. From my perspective we do point-to-multipoint because it is the efficient way to do it. ‘In 5G networks we can use the low frequency for mobility and high frequency for capacity for millimetre type uses, and that is for both access and backhaul – but I think we are looking at 2030 for this,’ said Naylon. The roundtable concluded with a short discussion on outdoor small cells (and the lack of major deployments as yet) and Cloud RAN. Law said that based on estimates from chipset suppliers the SCF is predicting that there will be 667,000 outdoor small cells in 2020 – up from around 84,000 in 2015. Despite capacity challenges, the experts expressed optimism for the future, with virtualisation already creating valuable new revenue streams. 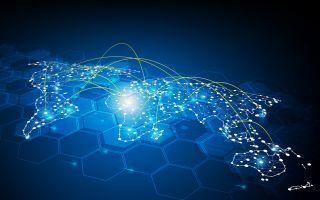 With no clear indication on the number of connected devices that will enter the IoT marketplace, it’s difficult to build a reliable forecast for 5G traffic patterns and backhaul requirements, making flexible solutions vital.